At Proliance Center, we often treat individuals who have suffered the devastation of loss. This may often arise after a breakup, the death of a loved one or changes and feelings of loss within a person’s life, such as the loss of a job or divorce. 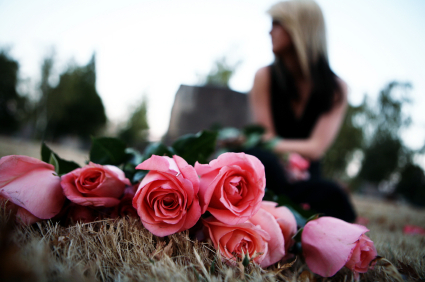 Grief counseling is a type of psychotherapy focused on the process of grieving, or mourning. At Proliance, we use grief counseling to guide individuals through the process of grief in order to find closure and resolve for whatever loss they have experienced. What Can I Expect from Grief Counseling? The process of grief counseling helps the individual to strengthen existing coping skills, or develop new skills, that will best address their feelings of loss and help them find closure. It also gives the individual who has been unable to fully grieve in their current circumstance, the chance to do so in a safe and healthy environment. At Proliance Center, we not only understand the treatment of grief and loss for an individual, but we also understand the experience that individual endures. We approach grief counseling as an individually based process because we know that the process of grieving itself is different for every individual and in every type of loss. We work with you to ensure your safety and level of comfort with the process of grief counseling in order for you to develop the greatest degree of resolve you hope to feel. Grief is often coupled with challenges that affect the individual’s ability to function in their daily lives. Disorganization, fatigue, poor concentration, sleep disturbances, night terrors and appetite changes are common symptoms of grief that negatively impact the individual. In many cases, when grief and mourning goes unresolved or interrupted, it can arise later in life, presenting itself in other, sometimes destructive or painful ways. At Proliance Center, we help our patients address these issues through grief counseling. Through our expertise, guidance and support, the individual develops a better understanding of their reactions and symptoms of loss and mourning and is equipped with skills to help manage the difficulties they face. With these characteristics, coupled with the patience of our clinicians, we can stand with you through the process so that you realize you don’t have to handle this alone until you feel you are truly ready to do so. The relationship you have with your therapist allows you to feel the trust and security you need recognize when this time may come. When Should an Individual Seek Grief Counseling? When feelings of grief have begun to disable a person in one or more areas of their lives, it is often a sign that counseling would be beneficial. At Proliance Center, we are here to listen and help you determine your needs. Using the foundations of grief counseling, we work with you to develop goals for treatment that reflect these needs. If you feel that you are unable to fully cope with the feelings associated with grief and loss, a Proliance clinician is only a phone call away!